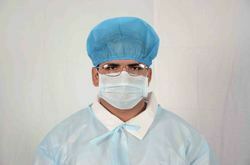 We are the leading manufacturer, exporter and importer of Surgical Face Mask. Keeping in mind the ever-evolving requirements of our valuable clients; our firm is instrumental in providing an extensive assortment of Face Mask N95. 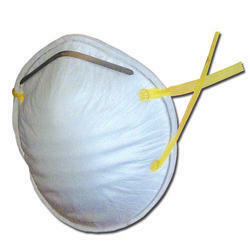 The offered masks have bacteria filtration efficiency with melt blown filter. These are easy to wear, provide good breathability, and are skin-friendly. Our product is fabricated by procuring premium quality material which is in sync with the medical industry norms and standards. Also, we are offering this at a reasonable price. 99% bacteria filtration efficiency in the mask with meltblown filter. Standard Size Adults17.5 cm x 9.5 cm. ; Kids 14.5cm x 9cm. Loop Soft round Latex Free elastic. String Length Weight (Ribbon) 36" and weight of String 30 gsm x 20mm. Nose wire Aluminum Plastic Coated Nose Wire to fit mask on nose properly. Lab Test Lab Reports from government approved laboratories(If Required). Material P.P Spun bond,Spun lace,SMS. Packing 50/100 pcs in poly pack /box 1 pcs in poly pack ,50/100 pcs in a box/polyethene. 99% bacteria filtration efficiency in the mask with meltblown filter. Available in 2 ply and 3 ply. tie and loop.